Fifteen-year-old Vidya dreams of going to college, an unusual proposition for a girl living in British-occupied India during World War II. 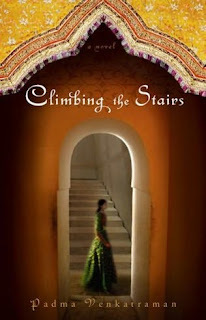 When tragedy strikes, Vidya and her brother Kitta are forced to move into a traditional household with her grandfather and her extended family, where men live separately upstairs and the women who live below are meant to be married, not educated. Breaking the rules, Vidya finds refuge in her grandfather’s second-floor library. There she meets Raman, a young man also living in the house. Surprisingly, he treats her like an equal and encourages her intellectual curiosity. But soon it’s clear Raman wants more than just friendship, and when Kitta makes a shocking choice the family cannot condone, Vidya’s life becomes a whirlwind of personal and political complications. Will she be strong enough to survive the storm? With the lush settings and heady emotions that mark the best Indian literature, Padma Venkatraman’s debut novel is an epic story of love and loss set against a unique moment in history. Readers of all ages will find deep empathy with Vidya as she battles between ideas and emotions while struggling to pursue her dreams. I have to say that I really LOVED this book. And it did make it into my favorites. (Which is hard to do) I immensely loved all of the characters and how human they were. They were very relateable, and yet very strong. I think the most changed character in the book was Elenor(Nora), she changed from an uncertain child, into a strong womanly figure. Thomas also changed greatly, I think mostly in his opinion of Elenor. He also became more forgiving of himself and others. All in all I GREATLY LOVED this Book, and recommend it to all who have a love for historical fiction. 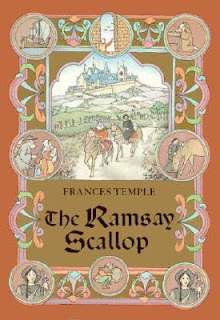 14-year-old Elenor of Ramsay's fiance, Thomas of Thornham, returns from the Crusades. The couple, uncertain of their roles in life and their feelings about each other, are reluctant to wed. Wise Father Gregory sends them on a pilgrimage to Spain; this not only buys them time but forces them to become better acquainted. Their journey is full of unexpected adventures, joys, and hardships. They see new sights, make new friends, and learn new things. By book's end, both are at peace with themselves and gracefully accept their lot.